Give Susan Reid a challenge like decorating an old house with period details or planning a soup-to-nuts makeover and she's right in her element. Susan has decorated homes from Nantucket to Naples including numerous houses, condos and offices, several boats. . . and one parsonage. Susan's 21 years of decorating experience has helped her to establish excellent relationships with her clients. Friends have become clients, and clients have become friends. 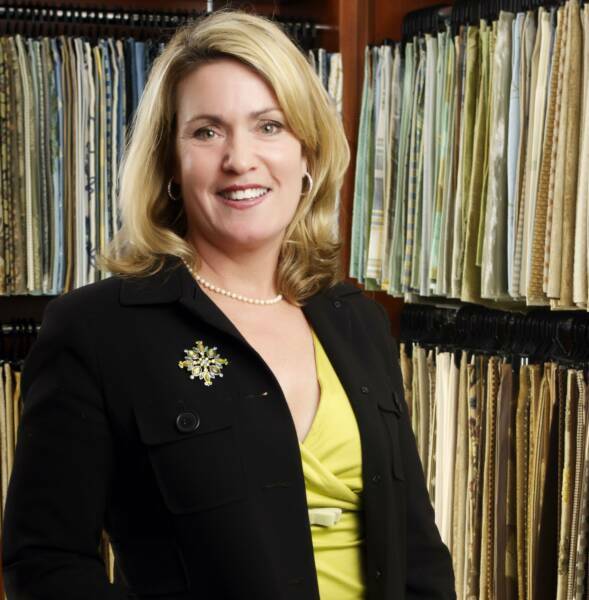 She says that the Susan Reid "method" is a collaborative effort with her clients. "It's really an enjoyable process," Susan says. "When a project is complete and I leave a customer's home, they're often surprised at how much fun we had and how easy it was." Susan brings a modern perspective to every project but she doesn't follow trends, believing instead that successful decorating is an investment that should last. Susan eats, sleeps and breathes decorating. She is an enthusiastic antique collector who frequently enlists her husband and two sons in her hunt for decorating treasures.